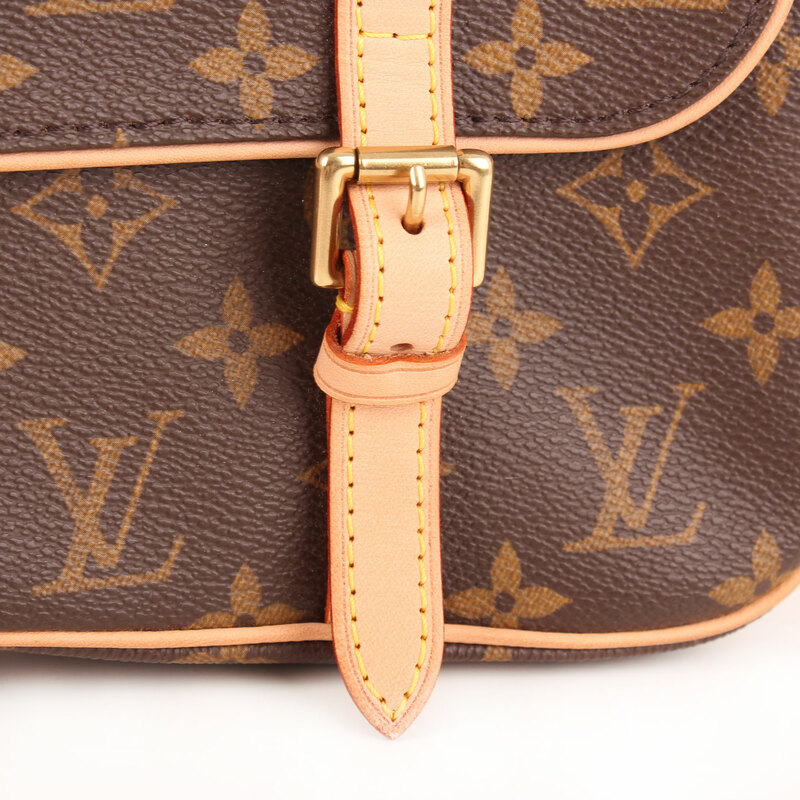 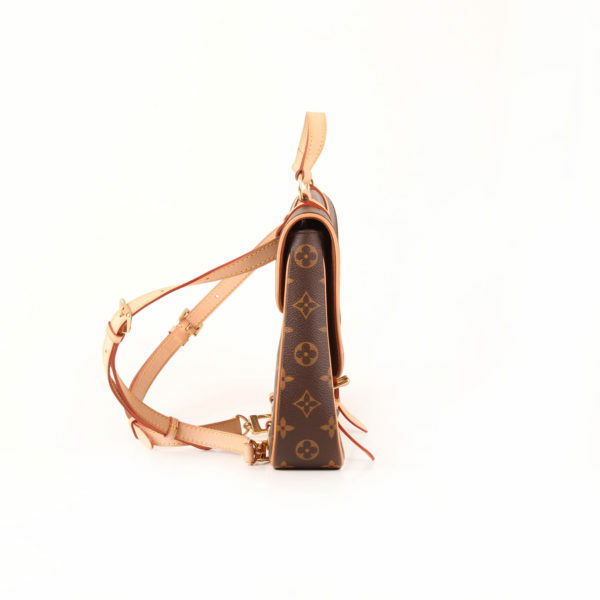 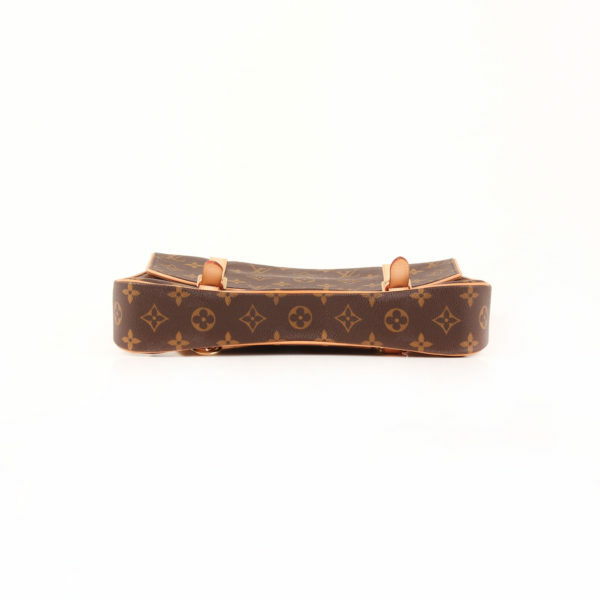 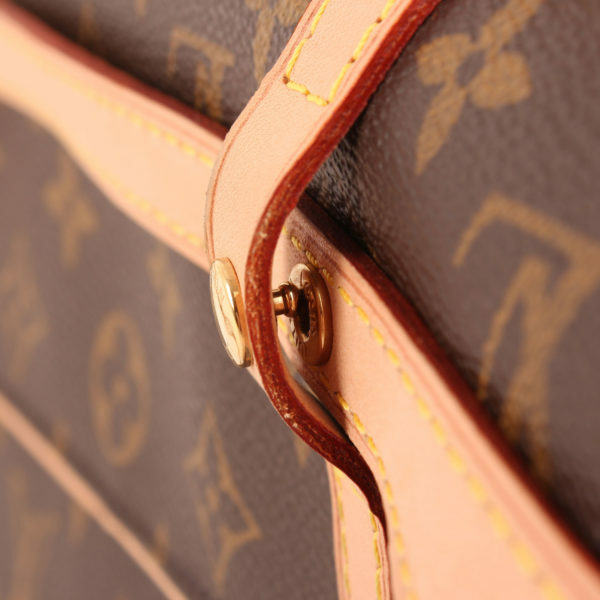 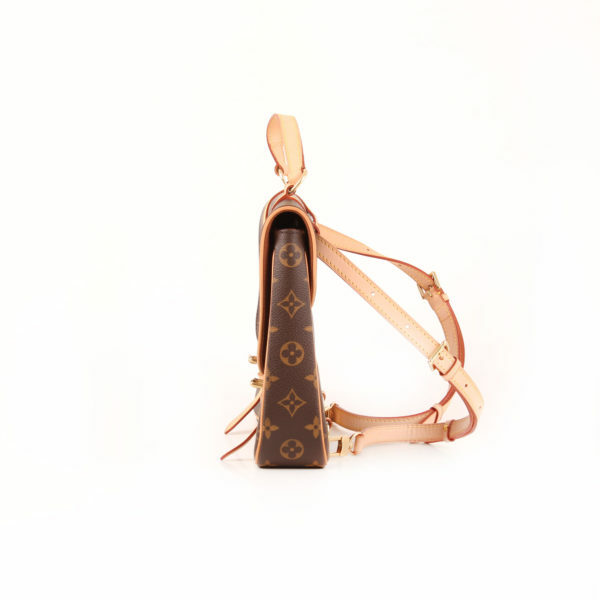 Louis Vuitton Marelle Monogram. Satchel convertible into a handbag, really useful to carry your basic stuff comfortably with a retro-chic school style. 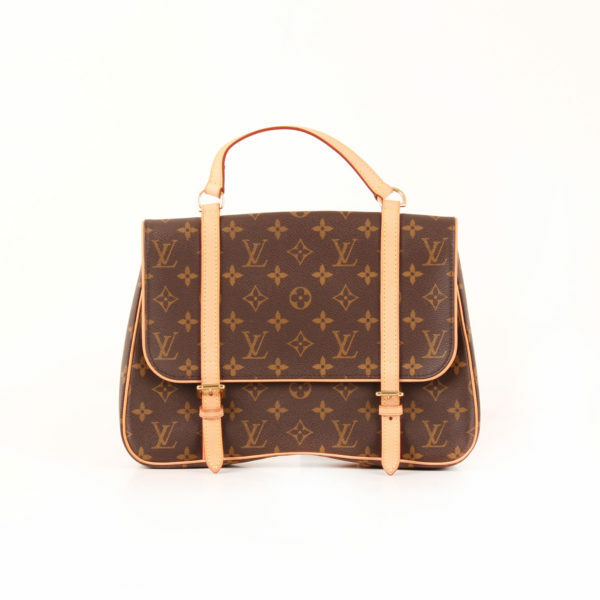 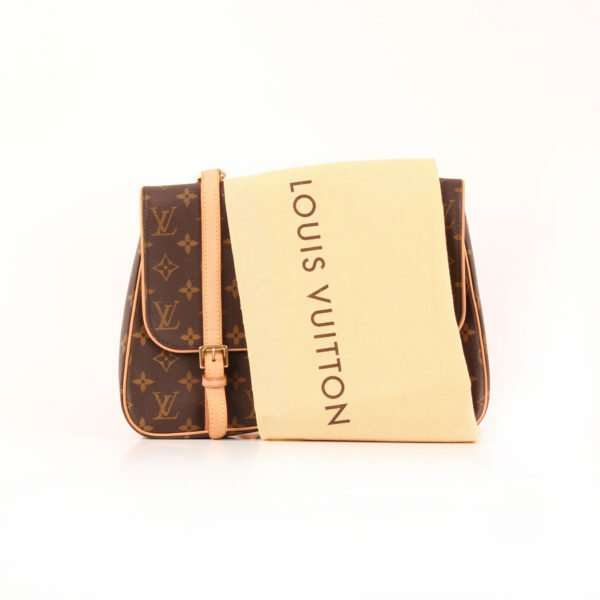 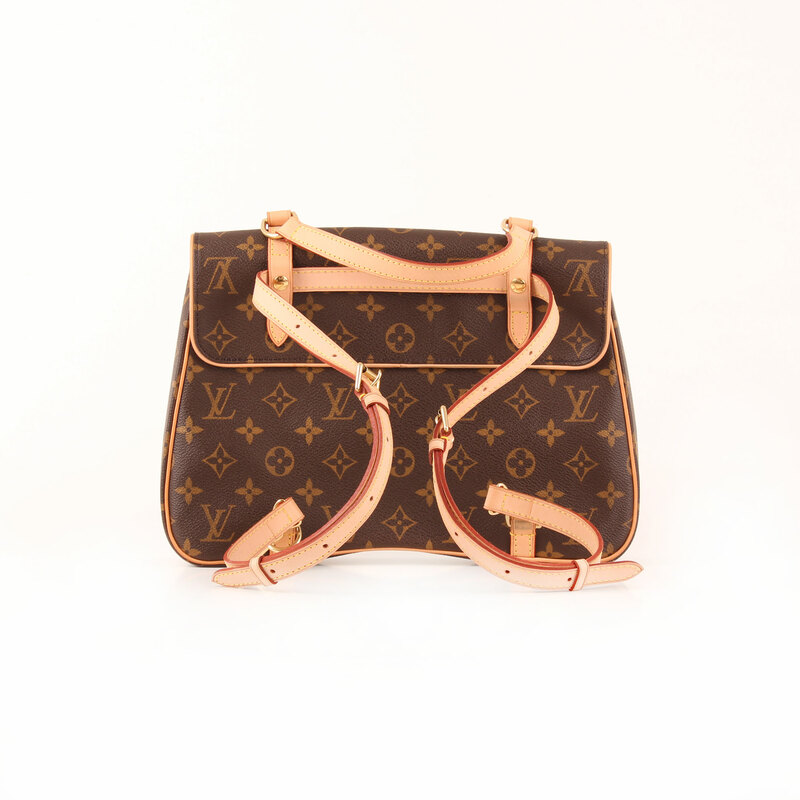 Classic school style satchel from Louis Vuitton, the Marelle in monogram canvas is a flat, reinforced item. Removable bands to convert the satchel into a handbag, thanks to the handle in the upper part. Gold hardware, band and leather trim in natural leather. 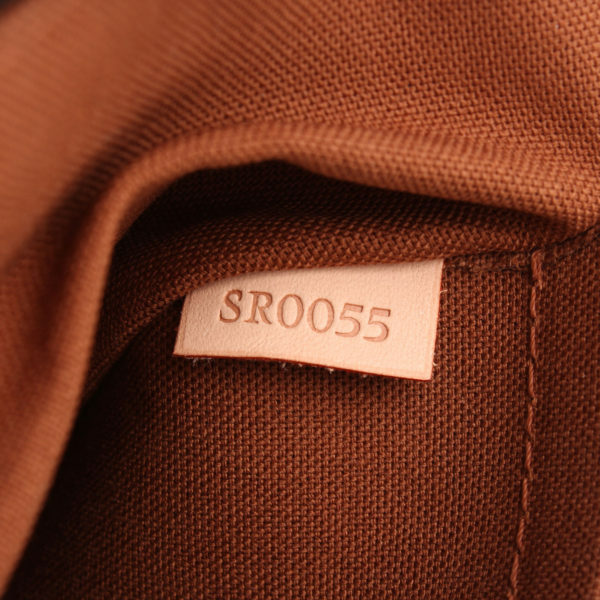 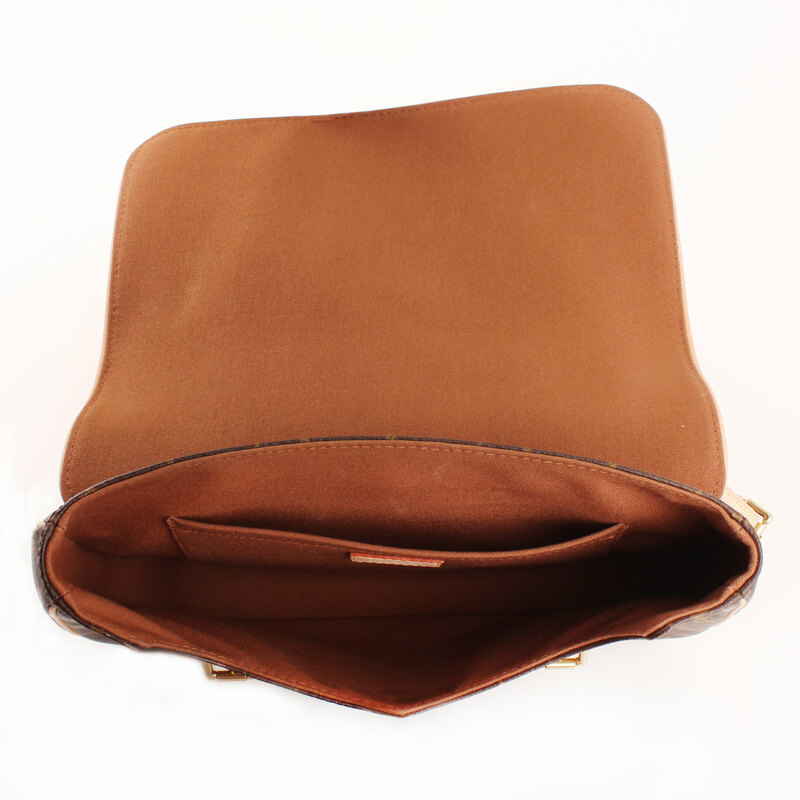 Lining in brown cotton fabric featuring an inner pocket with zip close. 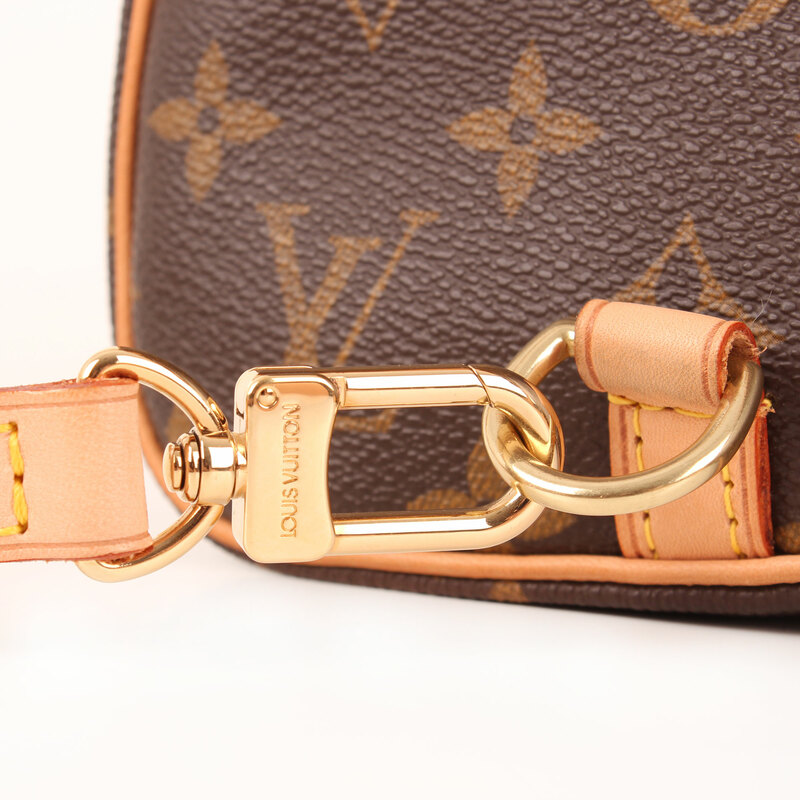 Details: Removable bands thanks to carabiner and push locks. 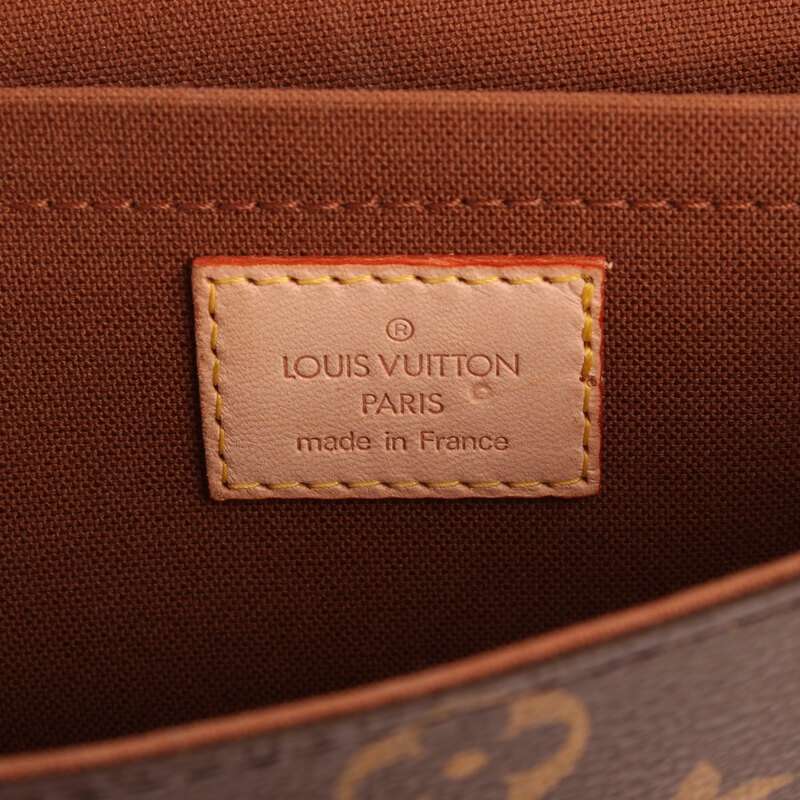 No signs of use.